Charity Golf Day at Effingham Golf Club in aid of the Motor Neurone Disease Association. Entry GBP 85 per person, or GBP 340 for a team of 4. Sandwich lunch and two-course dinner provided, together with prizes throughout the day! 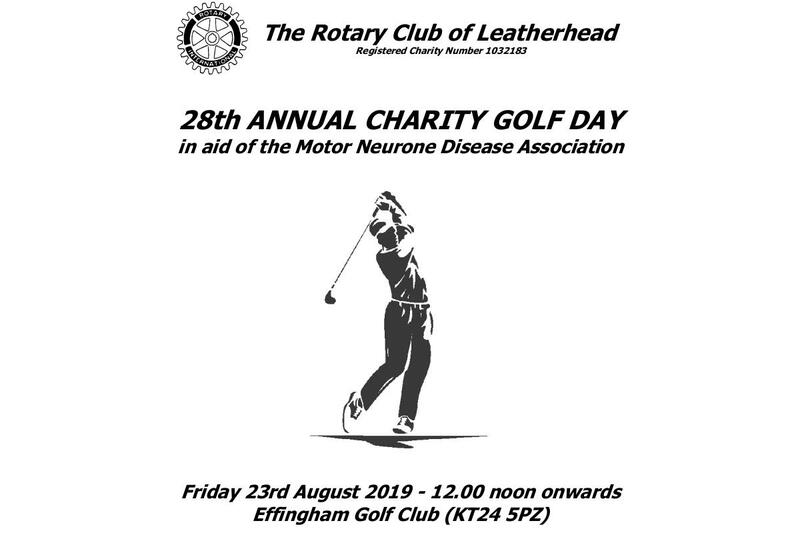 On Friday August 23, 2019, Leatherhead Rotary Club will be hosting their 28th annual charity golf day at the Effingham Golf Club (KT24 5PZ), to raise funds for the Motor Neurone Disease Association. Entry fee GBP 85 per person or GBP 340 per team of four, including sandwich lunch and two-course dinner. Many prizes to be won throughout the day! For futher information and entry forms, contact Gary Zabel on 01372 800810 or garyzabel@ntlworld.com.